Release Message: After visiting 2015, Marty McFly must repeat his visit to 1955 to prevent disastrous changes to 1985... without interfering with his first trip. Featuring Thomas Wilson as Biff Tannen. Description: After visiting 2015, Marty McFly must repeat his visit to 1955 to prevent disastrous changes to 1985... without interfering with his first trip. 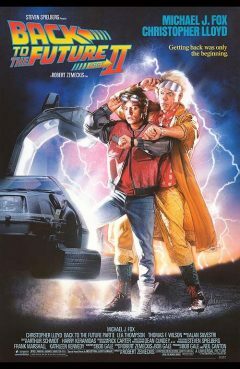 Marty McFly has only just gotten back from the past, when he is once again picked up by Dr. Emmett Brown and sent through time to the future. Marty's job in the future is to pose as his own son to prevent him from being thrown in prison. Unfortunately, things get worse when the future changes the present.